CONFORMiT is proud to announce a business partnership with STI Maintenance to offer optimized health & safety solutions. The two companies have collaborated to develop an application enabling interconnection between the CONFORMiT software and the IBM Maximo asset management platform. Companies that use CONFORMiT for health & safety and IBM Maximo for maintenance management will benefit from this new tool that will save a lot of time in the planning and execution stages of maintenance work. “We are very pleased to make this partnership with STI Maintenance official. They have a great reputation in Quebec. Managing critical risks related to maintenance activities is an everyday task for all our customers. We believe that effective maintenance management enables companies to participate in our mission to save lives. In addition, STI Maintenance has proven expertise in preventive maintenance and a strong vision of Industry 4.0, which aligns perfectly with our objective of real-time risk management,” said Eric Desbiens, President & CEO of CONFORMiT. CONFORMiT and STI Maintenance begin their partnership with this new tool, and already have several projects to make this relationship grow. “We are two companies located in Saguenay that are well established throughout Canada, and our clients face similar challenges. We believe that we can do great things with this partnership and help organizations in all sectors with maintenance management while managing their risks effectively,” added Dominique Privé, President of STI Maintenance. CONFORMiT is a leader in health, safety and environment (EHS) management solutions, which promotes workers’ excellence in risk management. For over 30 years, CONFORMiT has been observing and shaping business processes while offering tools to resolve strategic EHS issues. By addressing critical needs with regard to risk, CONFORMiT software helps companies of all sizes and sectors manage regulatory compliance, eliminate the risk of accidents, and effectively save time and money. Aligned with the industry’s best practices and the emerging digital trends, CONFORMiT builds a true EHS culture within organizations. Since 1992, the team of more than 90 STI Maintenance professionals has been offering professional services and business solutions to assist private and public sector organizations to fully meet their asset management objectives. STI Maintenance’s mission reflects its values – “Helping our clients to better manage their assets”. Specialized in asset management, STI Maintenance has a fully integrated approach based on best business practices, to enable organizations to implement best practices and systems for asset management / maintenance management. 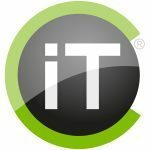 In addition to providing services by reputed technical experts in maintenance management, the STI Maintenance team also comprises software experts who provide integration and support for the IBM Maximo CMMS software, with whom we are the Gold Partners. Our multidisciplinary team of consultants, engineers, analysts, reliability engineers, maintenance technicians, programmers, and trainers aims at optimizing maintenance services and employing powerful technological tools. Our asset management expertise spans different areas such as industrial assets, vehicle fleets, IT assets and infrastructure.